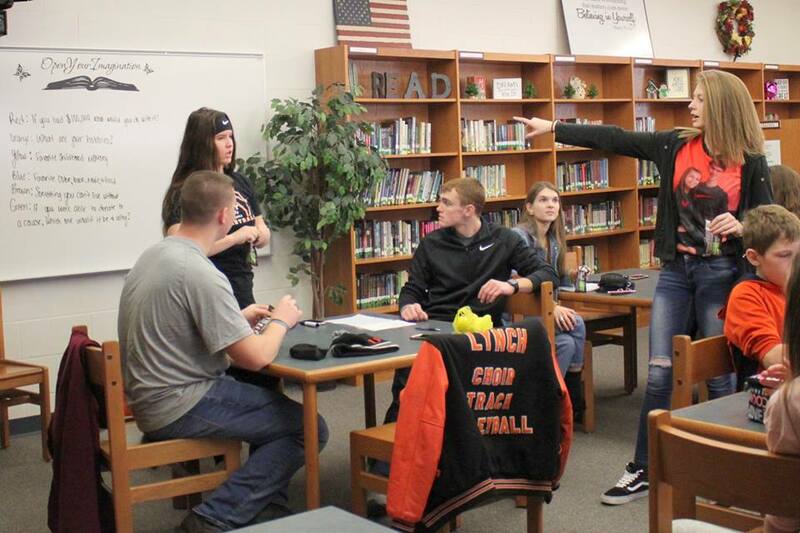 Newcomerstown High School Teen Leadership is helping start the Newcomerstown Middle School Teen Leadership group. 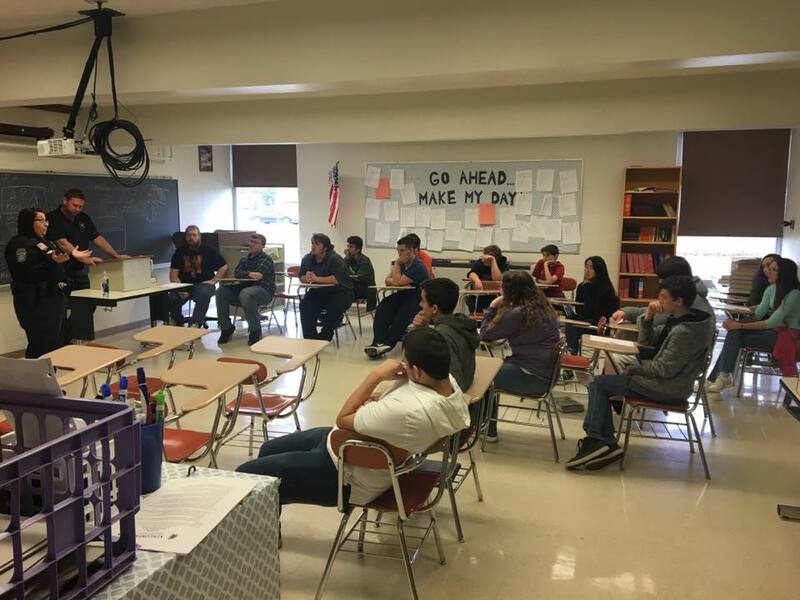 The group will meet every other Friday for the remainder of the year to focus on building leadership and service skills with the middle school students. 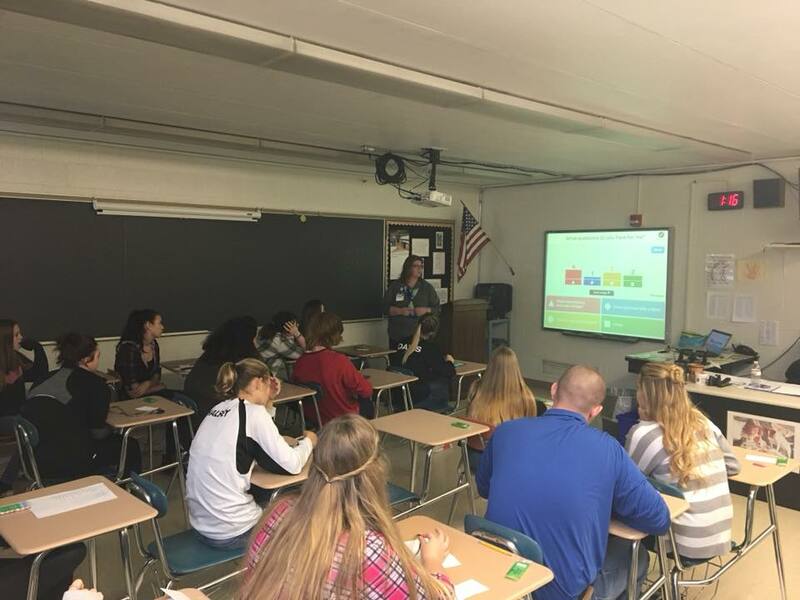 Last Friday, January 26, students took part in ice-breaker get-to-know-you activities and then discussed what their own ideas of leadership were. NHS and NMS Teen Leadership groups are currently partnering together on a service project for Nationwide Children's Hospital and Union Hospital by collecting crayons, markers, colored pencils, and coloring books. If you would like to donate items, please drop them off at the middle school office, or at the high school (Mr. Kennedy's room #107). The deadline for donations is Wednesday, February 28. These students were the prize winners for the second 9-week AR drawing. Names were drawn from all students who reached or surpassed their AR goals for the 9-week period. Congratulations. They were the winners of Wendy's Gift Cards after their names were drawn from 6th-grade students who had Perfect Attendance for the second 9 Weeks. 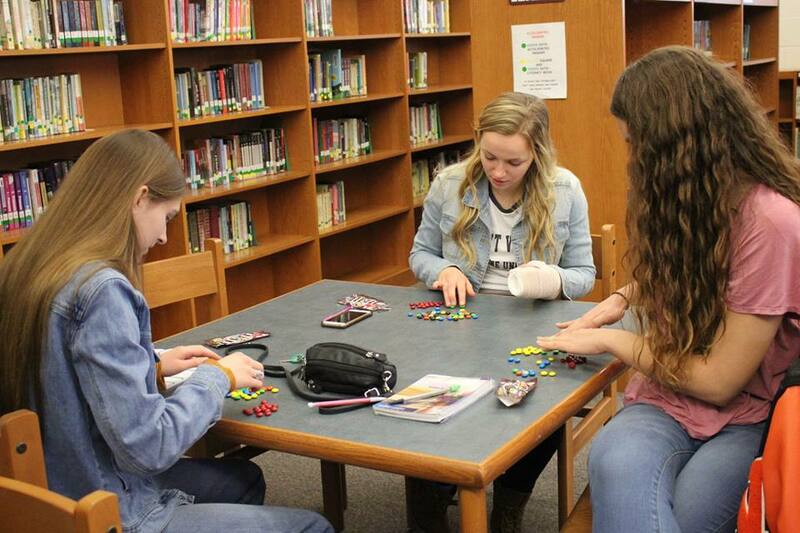 Teen Leadership helps teachers and students at East Elementary. What a great experience for both the high school students and the East School students. 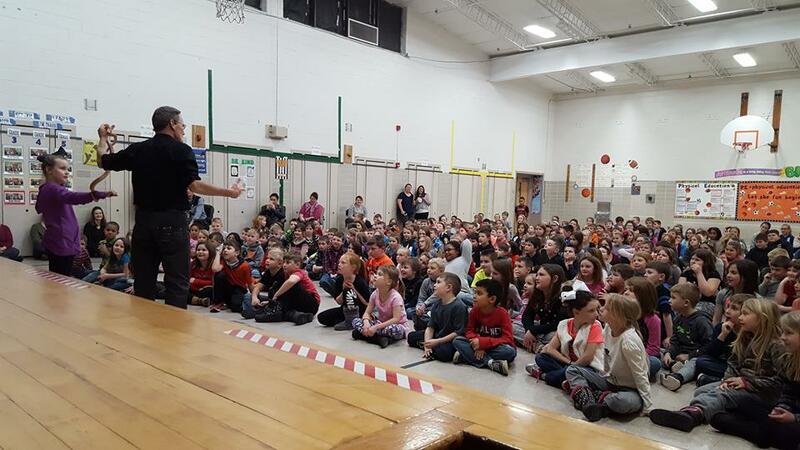 A great and worthwhile message was presented today by Ty Sells to Newcomerstown High School students. Youth to Youth International provided the guest speaker. He focused on the power of not only embracing yourself but also accepting others. He also talked about the positive side of being drug-free and the influence you, personally, can have on others by the way you treat them. The Newcomerstown Schools thank the Newcomerstown McDonalds for a generous donation. 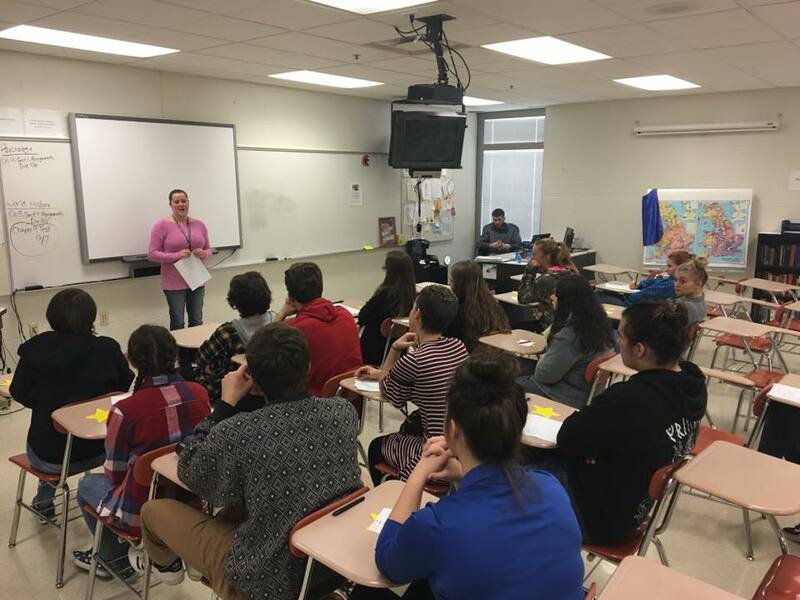 The schools used the $1,000 dollars that was donated to help offset the cost of buying classroom sets of novels for the English Department at the High School. They were able to buy 240 novels for the student's to use. Posted on January 25, 2018 by NEWCOMERSTOWN.COM. A big congratulations to Larissa Stull, Kam Rusnak, and Zane Popadak. 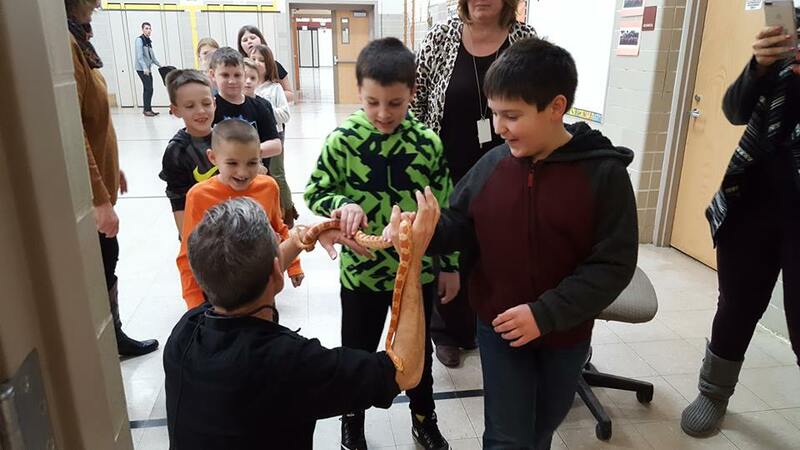 These three Newcomerstown West Elementary students won their local Regional qualifier in December to represent the school in the Elk’s Hoop Shoot. All three proceeded to the Ohio Southeastern Districts, which was held in Dover this past weekend. Kam took 2nd place and is a state alternate in the 10/11-year-old boys level. Zane represented the 8/9 boys, and Larissa represented the 10/11 girls. All three will receive their local 1st place trophy at the Newcomerstown vs. Ridgewood basketball game. Posted on January 22, 2018 by NEWCOMERSTOWN.COM. Congratulations to our West School January Students of the Month. Gavin Cooper, 2nd-grade, Miakoda Pippin, 3rd-grade, Hayden Williams, 4th-grade, Rettie Donathan, 5th-grade. Posted on January 12, 2018 by NEWCOMERSTOWN.COM. 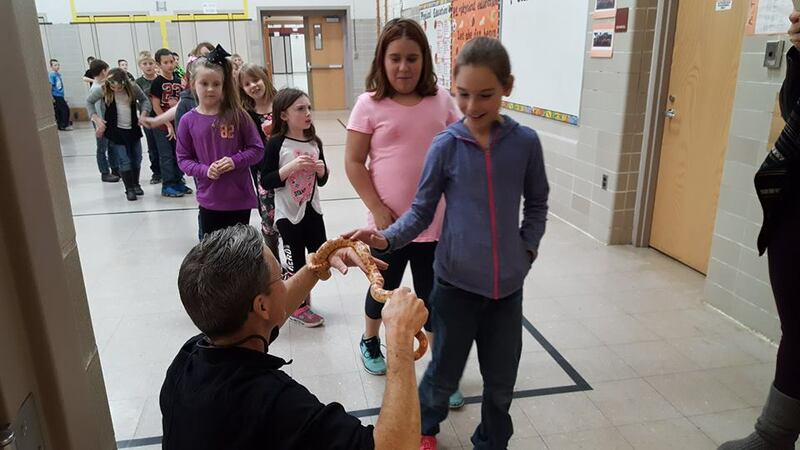 West School students who earned their second 9-weeks AR goals attended the Blathmac Illusionist and Reptile assembly Wednesday afternoon. This 9-week period produced the largest amount of students meeting their goals in 11 years with 77% attending ... that is 214 students. 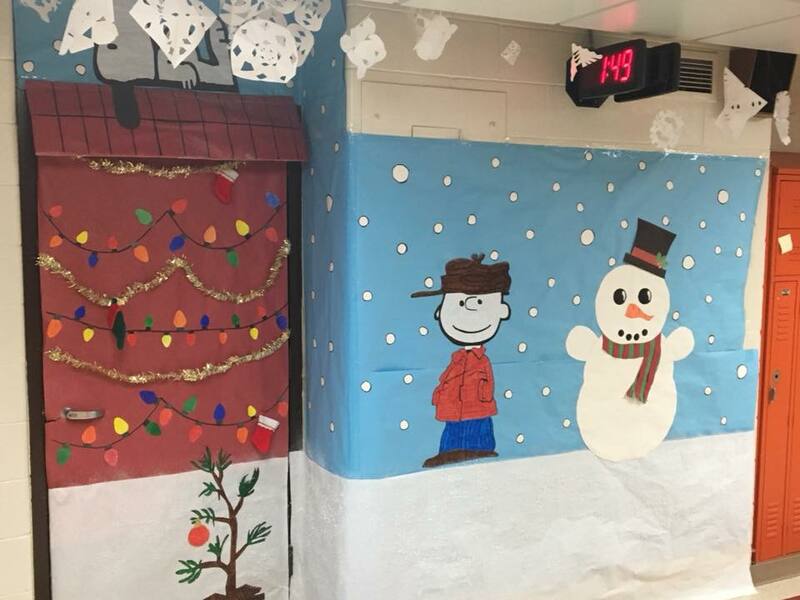 Congratulations and great job to our West Elementary School. Posted on January 11, 2018 by NEWCOMERSTOWN.COM. As one of their service projects for this school year, NMS Student Council members and their advisors made tie blankets, that were donated to Akron Children's Hospital. Posted on January 4, 2018 by NEWCOMERSTOWN.COM. Mr. Peoples and some of our NMS students gather around the thank you card from Hailey Elementary School. Posted on December 20, 2017 by NEWCOMERSTOWN.COM. Posted on December 19, 2017 by NEWCOMERSTOWN.COM. 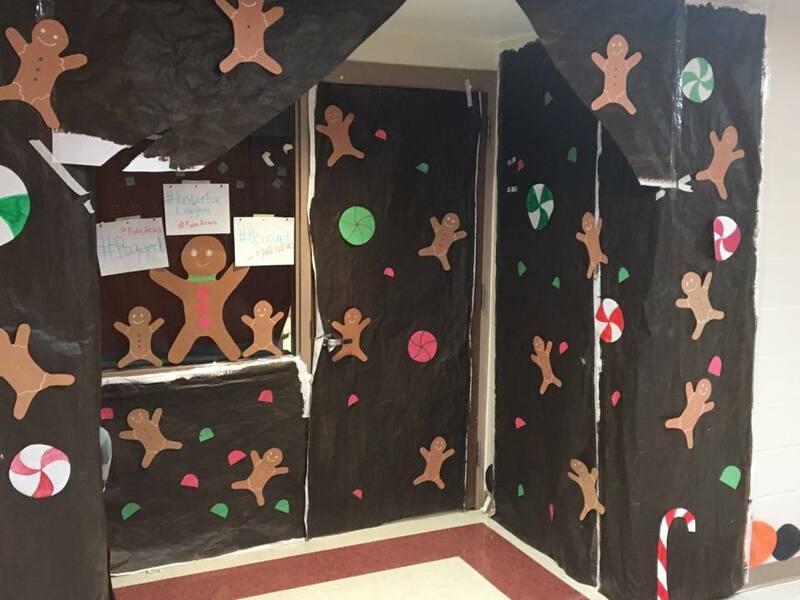 A holiday door decorating contest was sponsored this month by Teen Leadership. 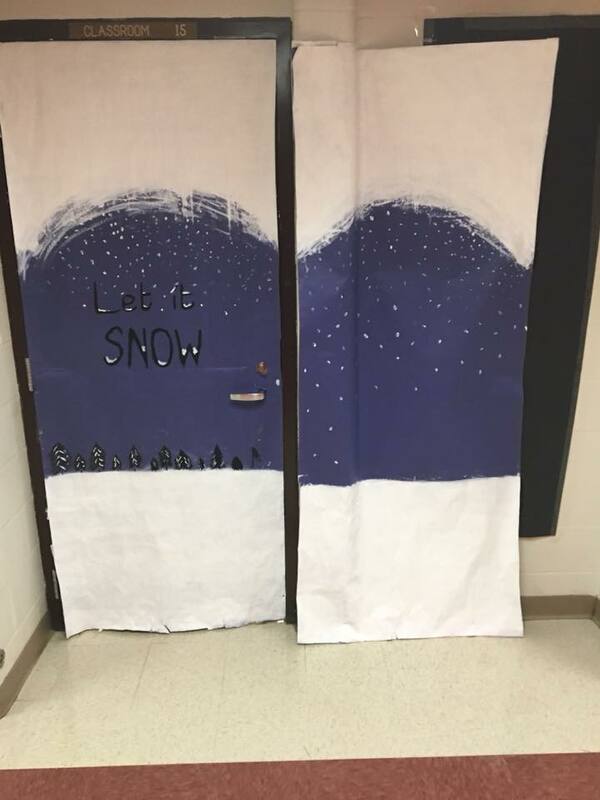 Mrs. George’s door was declared the winner. Her students received donuts, milk, and juice from Mr. Branch and Mr. Gadd last Friday. Posted on December 18, 2017 by NEWCOMERSTOWN.COM. This past week, the local American Legion Post honored two Newcomerstown High School students as winners of the Americanism Test given at NHS. The two winners were D'Angelo Gonzalez and Cheyenne Tanksley. Posted on December 16, 2017 by NEWCOMERSTOWN.COM. A tribute was held for a teacher retiring and leaving us effective at the end of Christmas Break. We wish John Cigavic the very best of wishes as he starts the next phase of his life with his wife in California. Mr. Cigavic has been a very positive influence on so many students over your years at Newcomerstown High School. He will be greatly missed. Posted on December 15, 2017 by NEWCOMERSTOWN.COM. 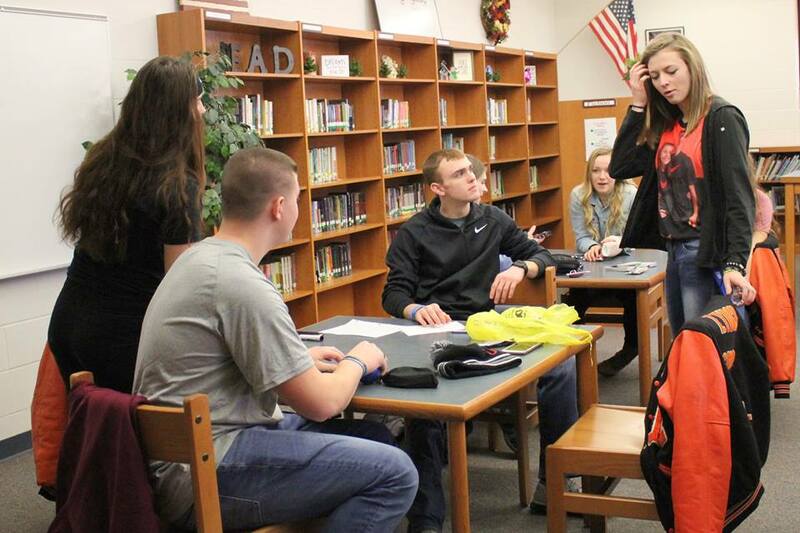 Newcomerstown High School had Career Day on Friday. Community members and businesses provided students opportunities to learn about different careers. Fifteen different organizations shared information with the students. Miss Gerber organized this opportunity for the students. Posted on December 9, 2017 by NEWCOMERSTOWN.COM.